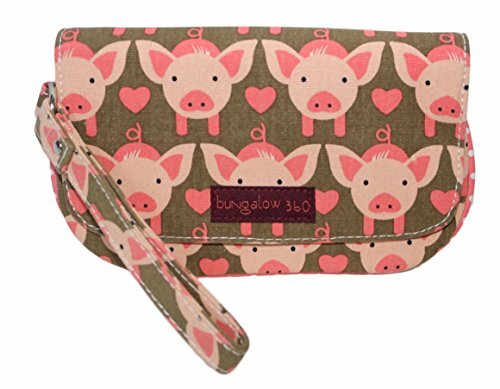 This adorable vegan wristlet by Bungalow360 showcases a unique print design with pretty polka dot lining. Crafted from 100% cotton canvas and secures with a magnetic snap closure. Features include a zipper pull, main compartment, interior zippered pocket and 6" wristlet strap. Measures 8.5" x 5" x 1"